The Solopreneur Business Program (SBT) has proven to be very effective for people who’ve gone into business for themselves. The SBT has a track record of proven success. It’s designed to help you achieve the level of success you want. Building a profitable company or practice is a challenging project. This training delivers a great return-on-investment and it will accelerate the solid development of your company. This SBT is designed for people who don’t have employees yet and those that have just started to grow with one or two people on board. 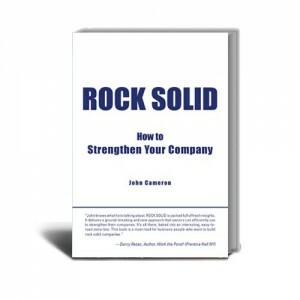 Rock Solid had other programs available for larger companies. Participants should expect this program aims to get all their business details comfortably under control and have the company running profitably with a bright future. You’ve taken the risk and now it’s time to get the rewards. When the pieces of the puzzle fall into place you’ll get your Entrepreneurs Second Wind where you achieve consistently high performance with less exertion. 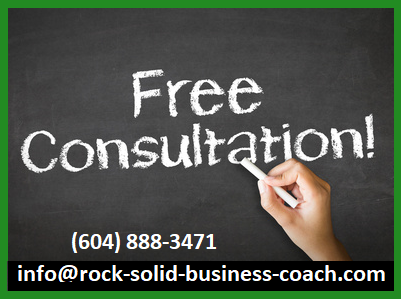 This training program was developed by British Columbia’s most experienced business coach. When he initially created this program John Cameron already had a successful track record as solopreneur for over a decade. 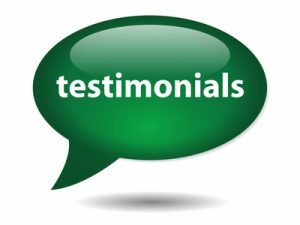 He built a solid business coaching practice working with small to medium sized companies using the world-class Company Strength Program (CSP) that he literally wrote the book on. 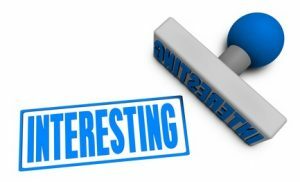 Then one day the BC Chamber of Commerce Learning Network asked if he would adapt he CSP for Micro-businesses – companies with five or less employees. John used his own experience as a solopreneur to distill the CSP down into Directly Applied Relevant Training for solopreneurs. (DART) It’s working very well and getting great results. Rock Solid’s 78% Strongly Agree rating was double the overall survey average of 39% – 62 BC business owners participated. There are several different skill, abilities, and projects involved in building a strong company. 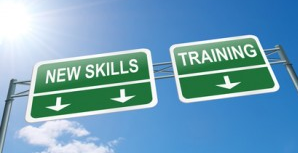 This training program effectively covers them. It’s been proven to help solopreneurs achieve success. This is Directly Applied Relevant Training. There are 12 projects that will have participants working on strengthening their own companies. They aren’t case studies from some other business in some other decade. There will be ‘homework’ but it will focus on directly improving your own company. Work worth doing! One of the projects effectively sets the stage for getting good value from your first hires or perhaps contracting out a portion of the work allowing you to focus on what you’re good at. The training will develop your business abilities and position your company for profitable growth. The cost for the program is $3,900.00 it’s effectively delivered over the phone and online. The Solopreneur Business Training consists of twelve sessions spaced over 3 to 6 months plus on-demand project support. Participants must have access to a computer with Word and Excel. Skype is optional. In Greater Vancouver BC Canada is possible for some live in-person meetings. The tools of the trade are Business Model Analysis and Forecast & Variance Reports. Program training participants will learn how to develop and use the tools. There is also a project to be completed during the solopreneur training program. Grading of the project will be included in participants’ program evaluation. Implementing the tools by completing the project and making a positive impact on the profitability of their business will be a key component of the participant’s evaluation. The learning outcomes are the improved ability understand financial reports and to develop tools for profitability growth: for the current period and for the business going forward. The CA³M is a roadmap for organizing and systemizing business operations while preparing for growth. Even in solopreneur ventures there are a fair amount of ‘moving parts.’ The CA³M delivers a proven process for monitoring and consistently improving them. It also provides a system for systemizing the enterprise. The learning outcome is the efficiently organizing of all of the functions involved in the business plus effective delegation where appropriate. It also involves effectively preparing for the first hire or perhaps contracting out some functions allowing the solopreneur to continue doing what they do best. 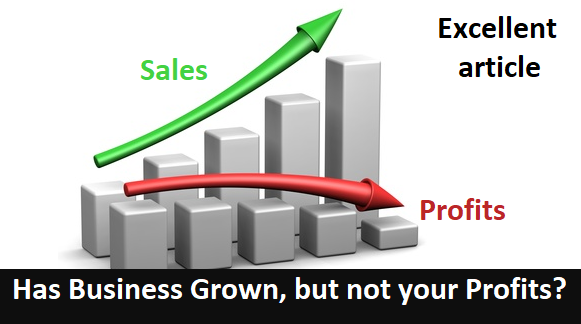 To grow their business solopreneurs need to effectively bridge to their target markets. In this case BRIDGE is a metaphor and an acronym for developing a solid marketing plan. Each letter represents a challenge or an assignment. The challenges are not market research related: they primarily focus on finding great customers for solopreneurs’ existing lines of business. Participants will be evaluated on their work on all six challenges. When all six challenges are completed then it’s straightforward to create an effective marketing plan. The learning outcome is the ability to develop marketing plans that attract good customers. Also to measure the ROI of the marketing initiatives. The Company Promise describes a solopreneur’s core focus. All business ventures should be designed to profitably deliver value, a Company Promise succinctly describes the value the company offers and like a compass it aims the solopreneur at profitable business opportunities. The learning outcome is the development of a Company Promise or mantra and implement it to keep the day-to-day activities focused on delivering value to profitable target markets. Business Momentum is about long-range planning and problem solving when obstacles are encountered. The AR²T of Momentum is a four stage process that delivers consistent traction. Participants will be evaluated on showing their detailed work for the process with the first application being long-range planning. The learning outcome is the ability to develop a high-level strategic plan and use a process to effectively work the problems encountered as the journey unfolds. Participants will learn business skills and abilities that help them build a strong profitable company. They will also work on projects that create a solid foundation for their company. 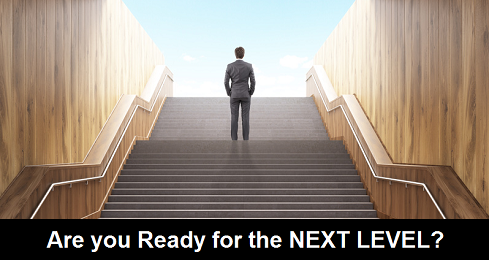 The program has been tailored to meet the unique needs of solopreneurs. Every company has an optimal tolerance for organization. This program will help you to strike the right balance for your practice. 1) The ability to clearly understand financials information systems and reports. Practice developing and using a selection of tools for consistent profitability growth. 2) Learning and using a process for the efficient coordination of all business activities including effective delegation. 3) Understanding the principles of marketing while building a solid marketing program that brings in good business. 4) Developing a Company Promise and implementing it to keep a clear focus on profitable business opportunities. 5) Understanding and using a strategic planning process and problem solving methodology to address real business issues. Participants will be evaluated by an exam at the end of the training plus a series of 12 projects will be graded as the training unfolds. The exam is worth 40% and the projects are worth 60%. The overall learning outcome is to develop the skills and abilities involved in building the foundation for a strong, profitable company that is ready to grow. All the projects involved in the Solopreneur Training Program directly relate to the participant’s company and the business it’s doing. Click here to read what clients are saying about us.